Forum member and long-range shooter Jerry Brandon has launched a new company, Ballistics Edge Mfg., which produces cartridge annealing machines for use by home reloaders. Brandon, a talented designer and fabricator, first tried annealing to maintain the quality of his own match brass. Brandon then built and tested a series of prototype annealing machines, working with a variety of brass sizes. Now Ballistics Edge Mfg. offers a full line of four annealing machines: the manually-operated Model 200 ($250), the motorized twin-torch Model 300 ($345), the motorized triple-torch Model 350 ($395), and the motorized Model 400 ($475), a beautifully-machined carousel design. Brandon’s most versatile machine, and the one he recommends for annealing both normal- and magnum-sized cases, is the Model 350. Like the Model 300, the Model 350 features all-metal construction and motorized case transport. The Model 350 uses three torches rather than the Model 300’s two. The triple-torch system does a better job heating the large-diameter necks on .338, .416 and .50-caliber cases. The triple-torch design also ensures fast, uniform heating of the case-necks on smaller cases. The video below shows the Model 350 in action, annealing jumbo-sized .50 BMG cases. For PPC, 6mmBR, and .308-sized cases, you can use the Model 200, the Model 300, or the Model 400. The Model 200 is a simple, one-at-a-time annealer that works remarkably well using a sliding arm. Simply slide the case into the flame, then slide it out after the required dwell time. For the average reloader, the Model 200 may be more than adequate. If, however, you plan to anneal hundreds of cases a week, you may want to consider the beautifully-machined Model 400 carousel, which will anneal 100 cases in less than 15 minutes. The Model 400 features both .308-size and magnum/ultra magnum-size holes to accept both .47X and .56X diameter cases. Just choose the correct size hole and adjust the torch height to match your case. The .75″-thick shell-plate top acts as a heat-sink to protect the lower case body. View the Model 400 carousel annealer in the video below. Anyone interested in learning about cartridge annealing should visit www.AnnealingMachines.com, Jerry Brandon’s website. There you’ll find a helpful, authoritative discussion of annealing, including the all-important factors of time and temperature. As Brandon observes, much MISinformation about annealing can be found. Brandon will set you straight. Read Brandon’s How to Anneal article and you can avoid making costly (and potentially dangerous) mistakes, whether you anneal manually or use an annealing machine. 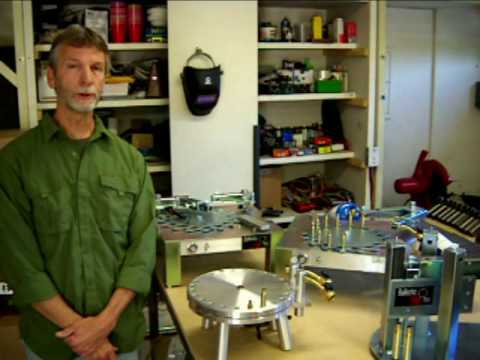 In the video below, Jerry Brandon reviews the features of Ballistics Edge annealing machines. He also provides some good, basic advice for shooters who are looking to try their hand at annealing for the first time. 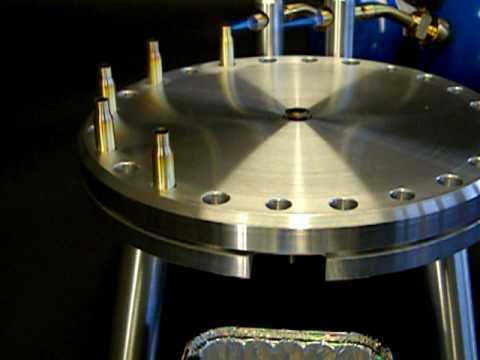 Share the post "New Annealing Machines from Ballistics Edge Mfg." The man to beat in Open Class will be legendary pistolero Jerry Miculek of Team Smith & Wesson. Jerry has won every IRC in which he has competed. When it comes to wheelguns, Miculek is the fastest man on the planet. Also competing will be past Ladies Open Division winner Julie Golob, and last year’s Limited Division Champion John Bagakis. Along with the adult classifications, the IRC features divisions for Junior shooters. The junior events are always crowd-pleasers. Some of these youngsters are definitely future champions in the making. The video below shows the 2009 IRC Junior Shoot-Off for the overall Junior Title. In related news, on tonight’s ‘Impossible Shots’ segment of the Shooting USA TV broadcast, Jerry Miculek will attempt to keep pace with a full-auto Uzi machine-gun. Shooting his tuned 1911 pistol, Miculek will engage a set of targets and try to match the RPM (rounds per minute) rate of the Uzi. This should be an interesting challenge to watch. Who will win? Well, I would never bet against Miculek when it comes to speed shooting…. 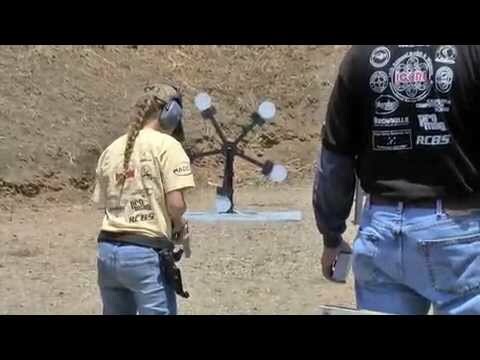 Share the post "International Revolver Championship in California June 4-6"